One last Spellbinders M-Bossibilities card today. ﻿ Today we pause and remember all those who have fought, suffered and died so that we may be free. As well as their lovely new dies Spellbinders have also released some excellent new embossing folders. These folders are double sided so they are excellent value with two patterns for the price of one. I woudl like to show you a few cards I have made using these folders. 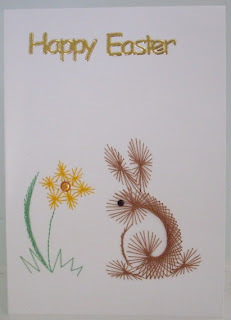 I would like to continue showing some designs with the new Spellbinders dies. I made this napkin fold card recently for my sister in laws birthday. I have used the Aster Flower Topper from Spellbinders. 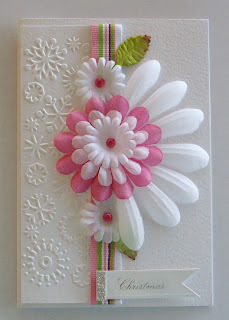 New Spellbinders Cards Spellbinders recently released their new range of dies. I have been having a play with a few of them and over the coming days I woudl like to share some of the cards I have made with them. My second post for today but I just wanted to show you a Mothers Day card I made this morning. I have used the Spellbinders Grand Calibur Labels Eleven die as well as Spellbinders new Splendid Circles and Spellbinders butterflies. I have more of the new Spellbinders to show you next week. Thanks once again for stopping by this week . I hope you have enjoyed my blog. The theme for our March monthly swap at Craft Mad was male cards . These are the cards I sent to my swap partner. 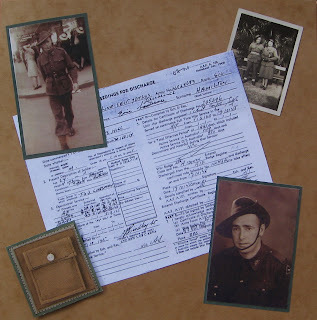 We are continuing with our 8x8 album for our monthly Scrapbooking Sketch Challenge at Craft Mad. This is my page for April. Our Christmas All Year Round Sketch Challenge at Craft Mad for April has a flower theme. I have chosen white on white for this month. The months are going by so quickly Time again for the monthly Craft Mad Sketch challenge .